The University’s Sustainable Development team are creating two new stunning green spaces at the City Campus this summer. The University’s Sustainable Development team are creating two new stunning green spaces at City Campus this summer. The project, named ‘Goldsmith Gateway Gardens’, will see two underused unloved sites outside the Maudslay and Chaucer buildings transformed with soft landscaping, paving, seating, shrubbery and foliage. Additionally, at the site outside Chaucer, two existing trees, which have recently been pruned and removed due to root damage, will be replaced with two beautiful cherry trees. The plans are part of the Estates ‘Greening the City’ scheme, a student-driven initiative to build more green infrastructures at the City Campus. The scheme, which was launched in 2014 was in direct response to student feedback. During market research, 86% of approximately 800 students called for more green spaces in the city. The Sustainable Development team created a list of priority areas, and carried out feasibility studies on the most promising sites, considering how these green spaces might be used to create a coherent outdoor space at NTU. The first to be created was the Boots Library Roof Garden followed by the Dryden Corner Garden. These projects have received lots of positive feedback from students as well as staff. They have also gained national recognition at the Green Apple Awards for their sustainable credentials. 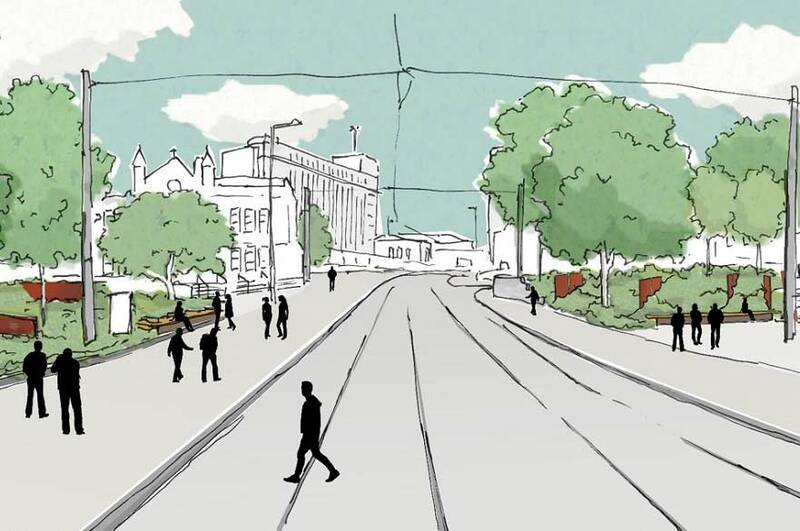 The proposed Goldsmith Gateway Gardens follows the success of Boots Library Roof Garden and Dryden Corner Garden, and could have the potential to change the face of the City Campus dramatically as well as help strengthen local ties with Nottingham City Council, support the local community and enhance Nottingham’s biodiversity. Works to create the new gardens will start early May, and are expected to be completed and ready for use by the beginning of July. If you want to find out more please contact the Sustainable Development team.